Limerence is a condition where a man or a woman are in a constant state of compulsory longing for another person. It really doesn’t matter whether their affection is returned. With limerence there is really nothing that will satiate their need for emotional reciprocation. Are you suffering from limerence? If you are, you will feel as though you are suffering from a dark permanent love spell that cannot be vanquished away. Limerence can sometimes come out of a bad relationship where the woman felt like the man was the one, and he did not reciprocate her desire for a relationship. Such breakups can leave a woman in a constant state of infatuation and longing even years after the relationship is over. In a healthy relationship, the soaring hormones of the honeymoon phase last 6 to 24 months. If you are suffering from limerence, these feelings can last for years and even a lifetime. Intense infatuation can make you feel sick. You might have loss of sleep, aching in the chest or stomach, shortness of breath, and be barely able to function on a daily basis. Some women even need antidepressents, medication or therapist help to deal with the ongoing obsessive thoughts. If you suffer from limerence it always helps to know that your life will go on with out this person, this object of your obsessive infatuation. Time will help heal and even if this person always holds a permanent place in your heart you will be able to go on and live your life and love again if you have faith in yourself. Keep your hopes high. Sometimes limerence can grow out of a failed relationship, most commonly the type where you were obsessed and he wasn’t interested. If you have it really bad for a man then your stomach will literally drop when you recieve an email or message from him or see his number on your phone. Your day won’t be complete without talking to him. He makes you feel a natural euphoric high that seems truly magical. And you will lay awake at night obsessing about your future with him. In the honeymoon phase, he may fan your flames and be really into you. You’ll feel that intense euphoria and have obsessive compulsive thoughts about the person. You’ll have a heightened sense of chemistry during this period where you will literaly want to tear each others clothes every time you meet with one another. As the honeymoon phase continues you might think this has long term potential. He might be making all the moves in terms of phoning and seeing you, giving you gifts and acting interested. Yet after the honeymoon phase is over, he is not ready to solidify the relationship. This is the point where many relationships fail and women are at a potential danger of limerence that could hold them up for years. When he moves on and you can’t, you have to recognize that you may be in danger of limerance. Most women do the obligatory break up steps. They remove him as a friend on face book, delete the pictures and memories, and start dating other people in an effort to move forward. Yet in the back of their mind, they truly believe that he was the one and they hold out secret hope that he will realize it and come back to them. You might be reliving your steamy moments with him, ruminate about him, think about how he smelled and replay your time with him over and over and over in your head. These types of circular thoughts get more intense and worsen over time with limerence. Sometimes, if your feelings remain that strong, you will reach out to the person and try to reconnect. You’ll be wondering if they miss you as much as you miss them. Unfortunately in many cases, the object of your unrequited affection may have moved on to another women, or even be engaged or married. If you are the women right “before” he met the one, you could be at risk for limerence. You know that unlucky woman, the one that was with him but he said he didn’t want a committed relationship only to jump into one with the very next woman he met? Someone has to be that “before” woman and if it’s you then you need to recognize that you might be in for a long heartbreak over this person. If you find yourself sick by the news that someone you thought you were mad about has moved on without you, then take care of your emotional well being. Signs of limerence are that you would feel literally sickened over such news. Everything from stabbing chest pains to lack of appetite to listlessness might hit you hard. If you are still dreaming of him in your sleep but he is long out of your life, then there is not much you can do. You can’t get someone back if he has literally moved on and married or gotten together with someone else. If you hold out continued hope you could let years of your life slip by on this obsession. If this article rings true with you I recommend you see the movie or read the novel One Day. 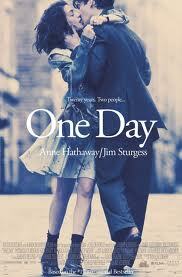 In this movie Anne Hathoway and Jim Sturgess star in a love story that evolves over the course of a life time. It’s a beautiful yet very disturbing love story that characterizes her limerence and life long obsession with her best friend. The focus for getting over a state of limerence should be to turn focus back onto your own life. Whether through spiritual access, prayer, psychics, self help, thereapy or even medication, you have to get control back over your obsession. Treat yourself well and if you find yourself wildly obsessed then get the help that you need. Sometimes you do not get what you want in this life, as they say life is not fair. Every woman might get hurt at some point in their life time. If this is the first time things didn’t go your way, your limerence is in some sense a long drawn out tantrum that you couldn’t control a situation. Well you truly can’t control all situations. In all relationships it does take two people. You can cast a love spell yet it is the hope that you’ll connect. True connection has to take place within the other person and you can’t always control it. If you have limerence, be accepting of your pain and give it time to pass. Focus on taking care of your mental and physical health and turning attention back onto your own life and future instead of someone elses who is no longer on your path. In order to find a new relationship you truly have to end this obsession with the person who does not share your desire to be with them. Time will definitely help cure your longing. It may take years but you will move on with your life eventually. Lastly, if that person at some later point in time recognizes the love that you felt he will come back to you. Just don’t spend your life away waiting.